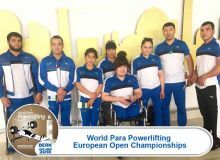 Uzbekistan’s athletes left for World Para Powerlifting European Open Championships will take place in Berck-Sur-Mer, France from May 25th to May 29th. Berck-Sur-Mer 2018 features as a mandatory step on the qualification pathway for all European Para powerlifters striving to qualify for the Tokyo 2020 Paralympic Games. 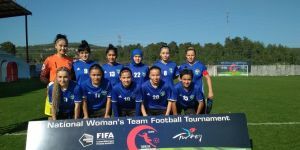 Uzbekistan’s seven para weightlifters will take part in the upcoming tournament. In men’s division, Navruzbek Abdurasulov (107kg), Farhad Umrzoqov (88kg), Yashinbek Oltiev (72kg), while Ismira Islomova (79kg), Rosa Kuziyeva (55kg), Muslim Nuriddinova (50kg) and Shakhzoda Mamadalieva (45kg) will represent Uzbekistan in a five-day-long competition.